Softball Tips and Techniques Learn essential softball skills and drills from Lamar University Head Coach Holly Bruder and the Cardinals' players. This comprehensive 56-minute program has everything you need to succeed in softball, be it as a player or coach. Among the topics covered are: everyday fielding drills, ladder drills, throwing progressions, infield drills, outfield drills and a wide variety of batting drills. This video is a must-have resource for coaches and players striving to reach their full potential! 2017. 56 minutes. Softball Drills In this comprehensive program, Coach Stacy Iveson provides a wide variety of proven drills for establishing a winning softball program. These individual and team drills will help to keep players actively involved and make the most of your practice time. Drills covered and demonstrated include: infield, outfield, catching, pitching, hitting, baserunning and team drills. This video will benefit coaches and players at all competitive levels. 48 minutes. 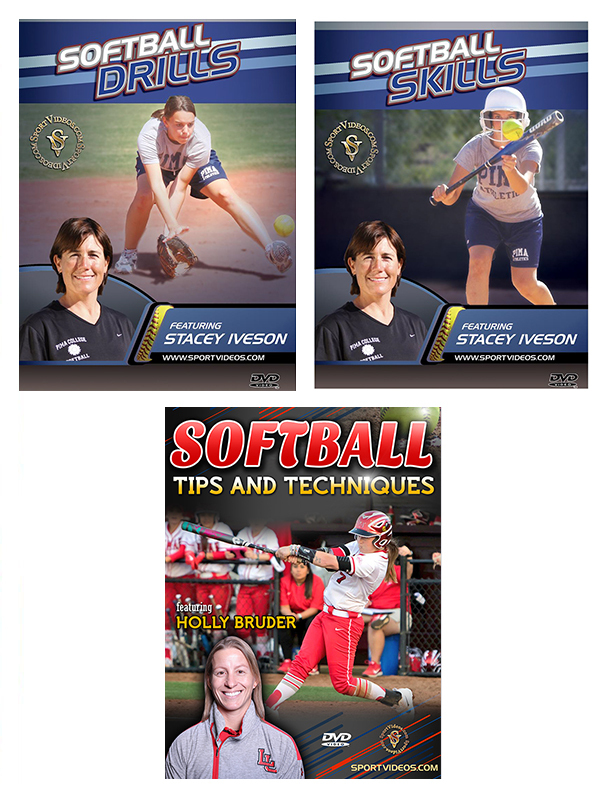 Softball Skills Coach Stacy Iveson explains and demonstrates the essential fundamentals necessary to excel at softball. The program begins with Coach Iveson discussing the important details of proper throwing mechanics. She then teaches and demonstrates numerous skills such as infield and outfield mechanics, catching defense, pitching, bunting, hitting, baserunning and sliding. The techniques in this video have been instrumental in helping to create successful players at all levels! 65 minutes. About the Coach: Stacy Iveson, the head coach at Pima Community College in Tucson, Arizona, has established herself as one of the most successful coaches in NJCAA history. She has led the Aztecs to two National Championships. Prior to coaching at Pima College, Stacy was an assistant coach at the University of Arizona for six years, where she helped the Wildcats to win three WCWS National Championships.